It was Father’s Day today, uhhh…Father’s Day? Huh, in November?!? Yeah…while most of the world celebrates this day in June, Norway celebrates it on the Second Sunday of November, so today! 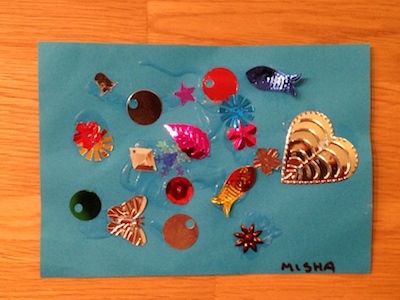 Misha got pretty creative (supported by the kindergarten 😉 ) as you can see below, NICE!